Building Instructions for a cable that connects LEGO Power Functions (PF) with Mindstorms NXT/EV3 | Christoph Bartneck, Ph.D.
First, you need to have a look at the wiring diagram. 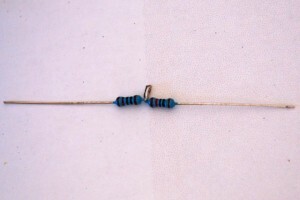 You will need one 1k Ohm resistor and one 10k Ohm resistor. These will only cost a few cents in your local electronics store. 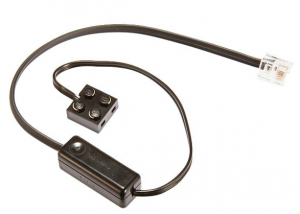 Next, you need to have PF cable and an EV3/NXT cable. As for latter, you need to pay extra attention to the sequence of colors on the cables. They differ across brands. On the left you see an original LEGO cable with the sequence blue, yellow, green, red, black and white. The cable on the right has the opposite order. 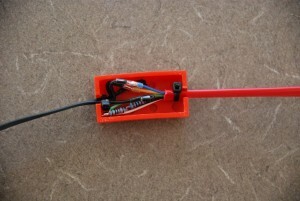 The wiring diagram above uses the original LEGO coloring. 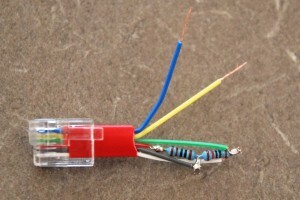 In this tutorial I will use a third party cable and the coloring is reversed. I will therefore refer to the pin number and not the color in the following steps. The next step is to cut the EV3/NXT cable and free the inner cables. 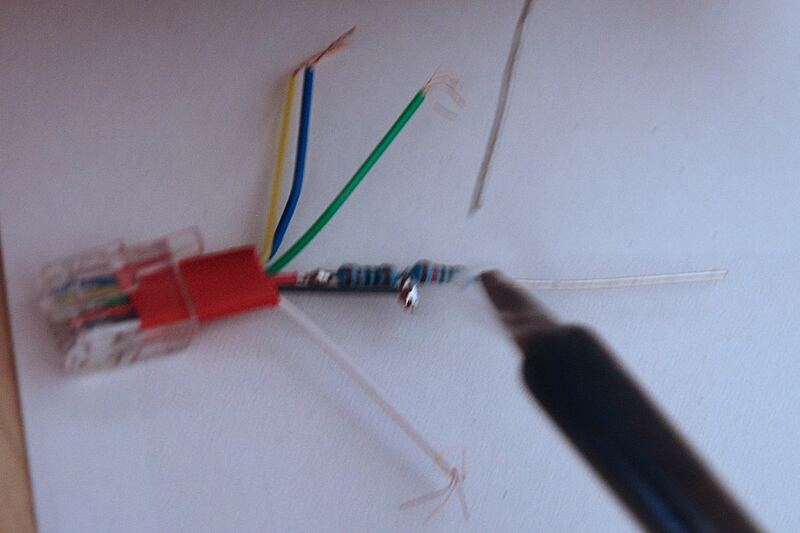 Then you twist the two resistors legs and solder them together. Then you need to cut the pin 4 cable shorter. Solder the resistors to the pin 4 cable. You can then twist the pin 2 cable onto the resistors. 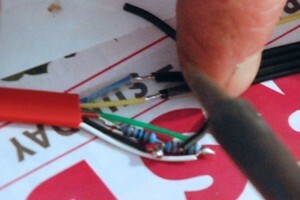 Next you solder the cable to the resistors. 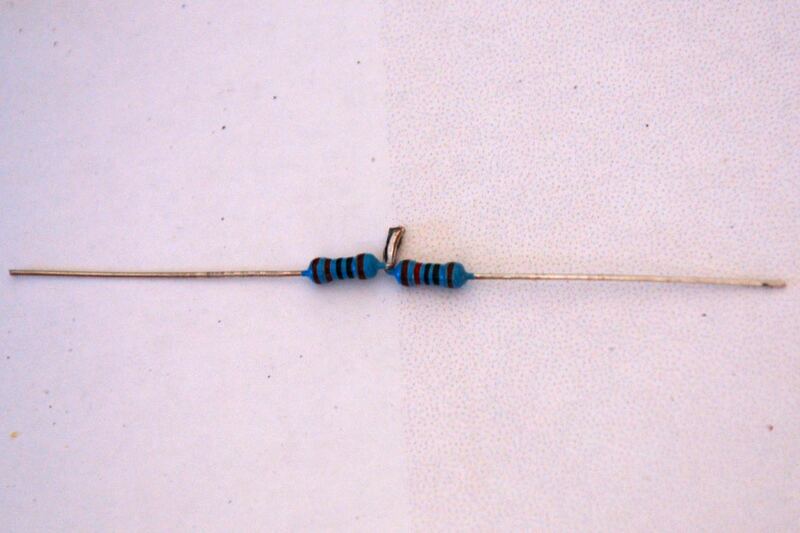 Next you twist the pin 3 and 6 to the end of the resistors and solder them on. 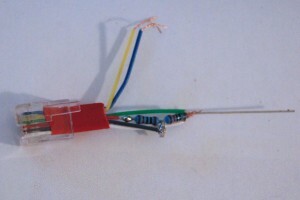 Now you need to put the heat shrinking tubing over the pin 1 and 2 before soldering the pins to the PF cable. 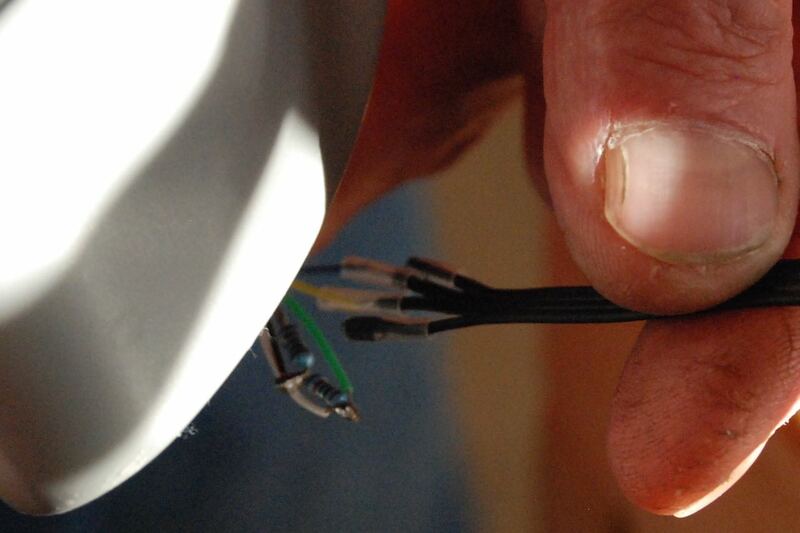 Use a hot air gun or a similar device to shrink the tubes. 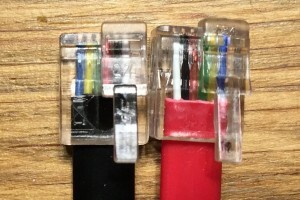 You can also use the tubes to insulate the ends of the two not used PF cables. Now it is time to build the casing. 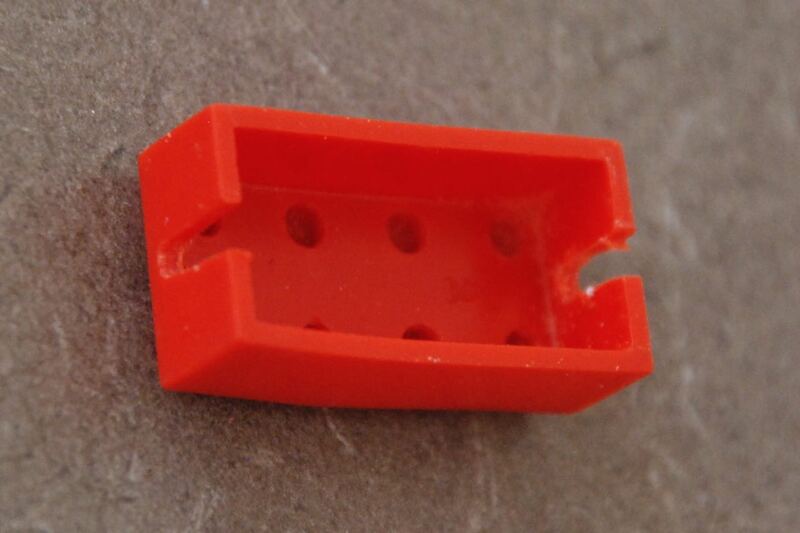 We used a very old 2×4 brick since it did not have any inner pins. I cut out two openings on the sides for the cables. 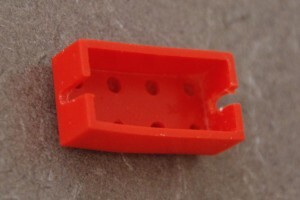 To prevent the cables from being pulled out of the casing you need to attache cable ties to the two ends. Now you are ready to test the cable. 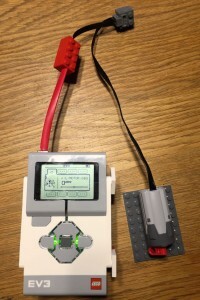 Connect it to an EV3 and use the Port View to check if the motor is detected correctly. 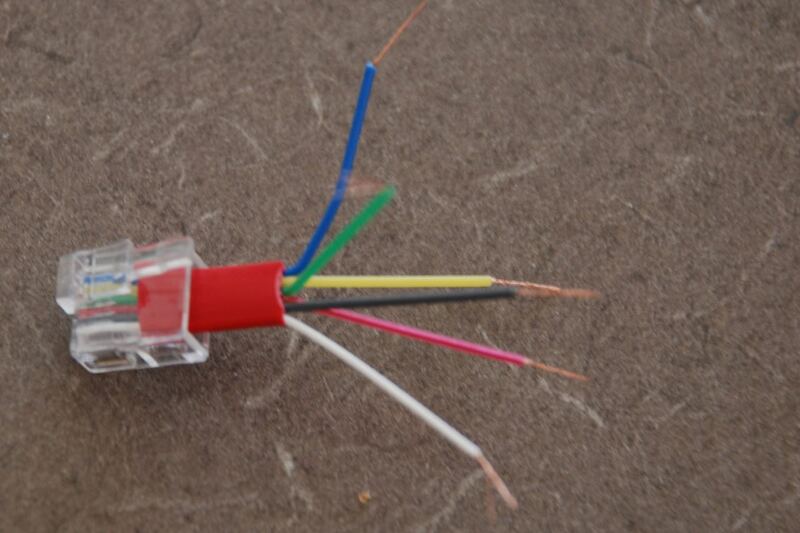 If you made a mistake in the wiring it will show “Port Error”. Could you tell me if it is possible to run 2 motors XL on the same port. The power there will not be too high for the port ? It depends on the load. If the two XL motors run without any resistance then this will work. 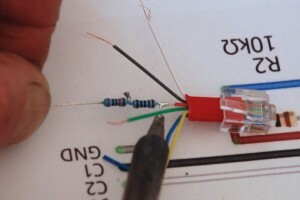 hi, can i know why must connect the resistors? if didn’t connect the resistors, will it cos any problem to the EV3 or the motor ? tq. My understanding is that the resistors help the EV3 to identify the motor. 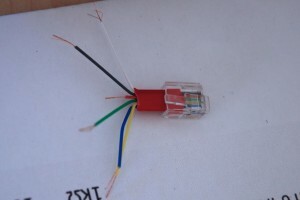 Hi, thanks for sharing how to build the ev3-pf cable. May be the step “You can then twist the pin 2 cable onto the resistors.” might be wrong. Shouldn’t it be pin 5 instead pin? – how does the EV3 brick detects and identifies the presence of the new device ? I have not tested this so I cannot give you a good answer. The EV3 can run four motors simultaneously, so there might be enough power. Is the step “You can then twist the pin 2 cable onto the resistors.” wrong? Shouldn’t it be pin 5 instead pin? 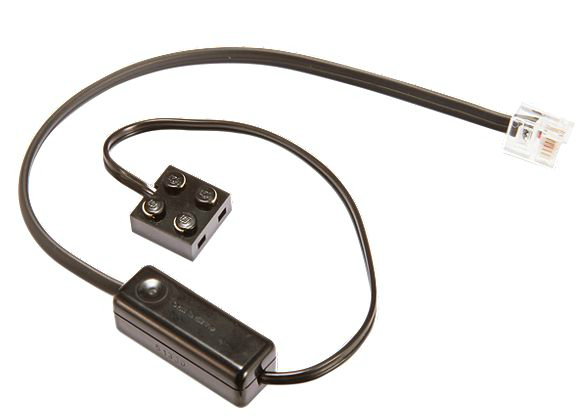 Also can you be more specific on the PF cable side of it? 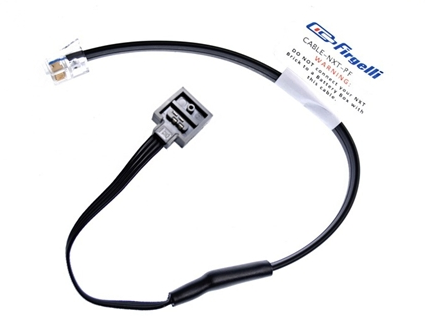 First, using the PF extension cable has two different ends, which one do I use? Second, can you draw out from left to right or top to bottom which side is power on the PF cable so I have a reference point? 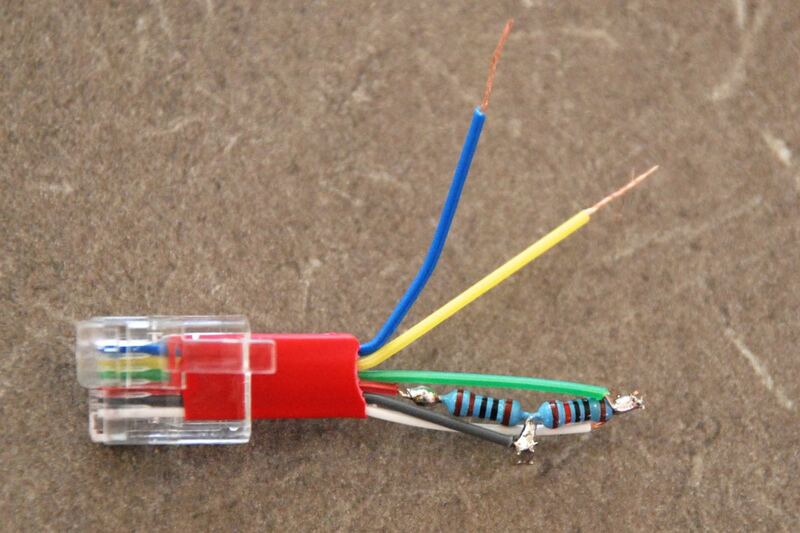 Third, Do I connect power from PF cable to the pin 3-4-6 junction? 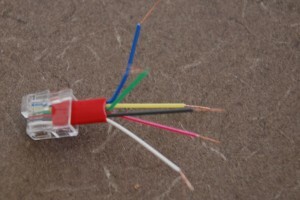 If so where do i connect the ground from the PF cable? Please look at this youtube video as it shows more specifically what I’m asking in the previous comment. 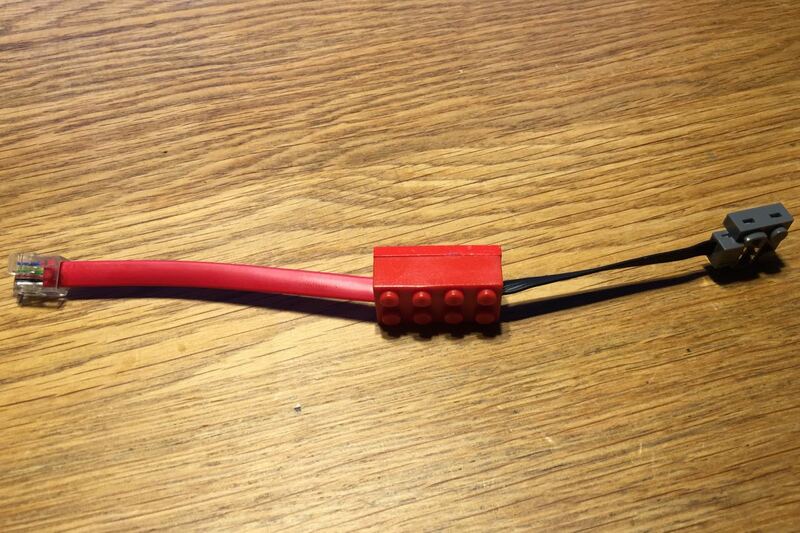 You can try to buy a used cable from Bricklink. Or build your own with the instructions provided. It is rather simple.